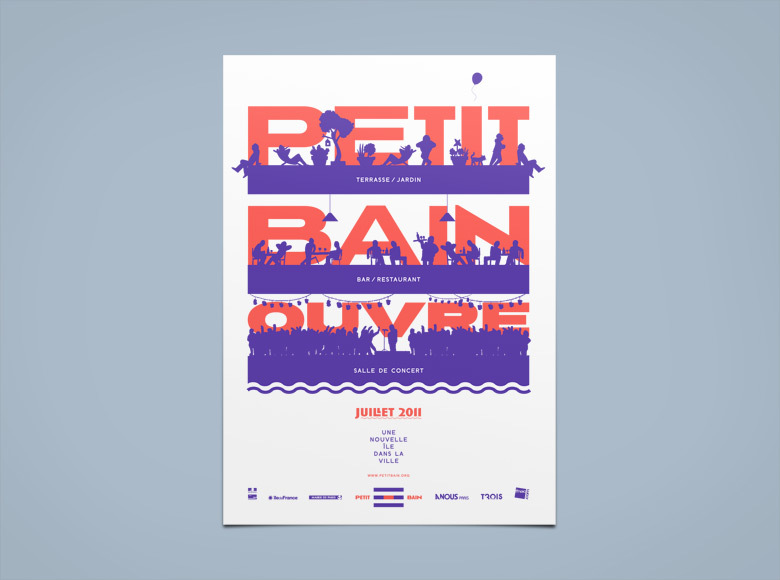 Unused poster for the opening of Petit Bain. 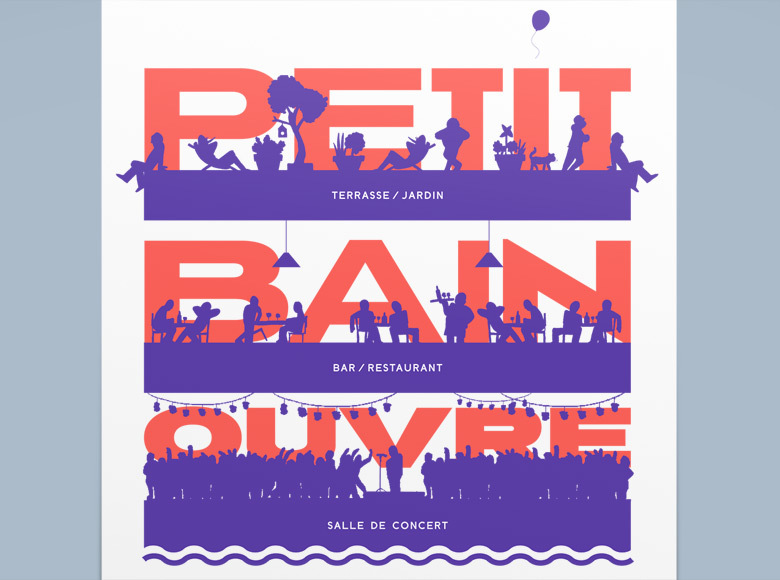 Petit Bain is a floating parisian venue that opened in summer 2011. It is divided in three levels: a garden/sundeck, a restaurant and a concert hall.